I like to cook. But only if what I’m cooking allows me to have an undistracted conversation with whoever’s company I’m enjoying, and not have to rush back to my phone with greasy fingers for the sixth time because I can’t remember if it said 1/2 Tbsp or 3/4 tsp, or dammit was I not supposed to add that egg yet? If a recipe requires more than one pan, a lot of chopping, or any ingredient I can’t find at Trader Joe’s, I immediately start to panic and I’m unlikely to try it. And that is why this article is amazing. 34 two-ingredient recipes. Oh the simplicity! 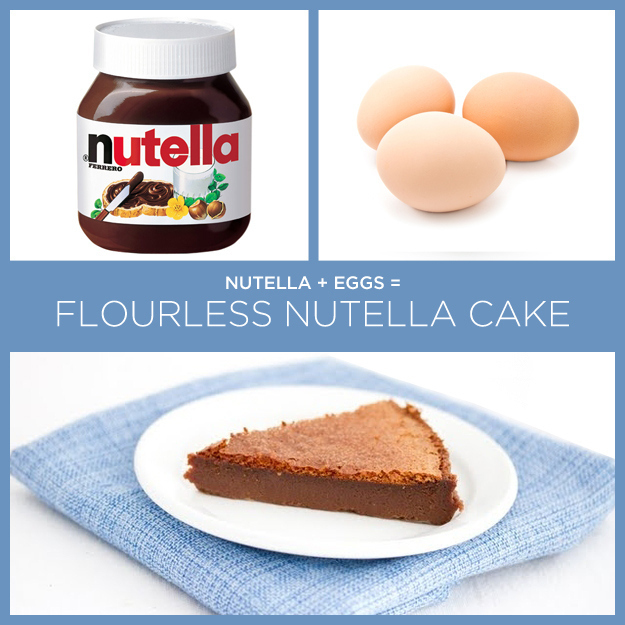 The Flourless Nutella Cake and Lemon Mousse are first on my list to try. Um, amazing. I am embarrassingly excited about having found this article, thank you! !